Are you in the market to buy your first home in Washington state? Would you like a free gift of money to help you purchase that first home? If so, the state of Washington provides programs and incentives for its residents who are first time home buyers and need help with the down payment and closing costs as some other states do. The program amounts can be in the thousands of dollars. It will be well worth your time to educate yourself about the grant programs that are available to Washington state residents. The agency in Washington that provides educational and financial help to first time home buyers is the Washington State Housing Finance Commission. There are currently no such home buyer grants available. They do have several home ownership programs available. To find out the specific requirements, please visit the Washington State Housing Finance Commission website page specifically describing these beneficial programs. You can find it here. In addition to the grant programs described above, the U.S. Department of Housing and Urban Development provides home buyer assistance and grants in every state. There are multiple grant offerings designed specifically for people that meet certain requirements, such as grants for people with disabilities so they can continue to live independently at home. It is worth visiting HUD’s website to see what assistance is currently available. For your convenience, simply go to home owner grants in Washington. The City of Bremerton, in partnership with the Washington State Housing Finance Commission, presents the House Key Plus Bremerton Down Payment Assistance Program. The program is designed to provide low interest second loans that make home buying affordable for eligible home buyers purchasing within the Bremerton City limits. Funding for this program comes from the City of Bremerton’s HUD allocation of Federal HOME funds and is matched 3:1 by the Washington State Housing Finance Commission. Funding is NOT available at this time. The borrower must qualify for and use a House Key first mortgage from the Washington State Housing Finance Commission (WSHFC). 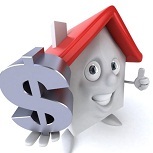 The borrower’s lender must be WSHFC-certified to originate House Key Loans. For more information on House Key and WSHFC, go to http://www.wshfc.org/. The City’s “second mortgage” loan may be used to assist with down payment, closing costs, and gap financing. The House Key Plus Bremerton Down Payment Assistance Program usually makes need-based loans of $5,000 to $15,000, capped at a maximum of $20,000. On November 28, 1990, the Cranston-Gonzalez National Affordable Housing (NAHA) Act was enacted into law (P.L.101-625). The centerpiece of the legislation was the HOME Investment Partnerships (HOME) program, which represents a new approach to housing assistance at the federal level. HOME affords local governments the flexibility to fund a wide range of low-income housing activities through creative and unique housing partnerships among Counties, private industry, and nonprofit organizations. HOME allows these partnerships to respond to diverse local housing needs through rehabilitation, new construction, tenant-based rental assistance, and other related activities. HOME is targeted to those most in need. 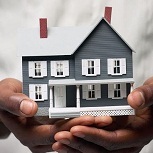 All HOME funds must benefit persons below 80% of area median income (AMI). In the case of rental projects and tenant-based rental assistance, at least 90% of the families receiving HOME assistance are households with incomes below 60% AMI. HOME funds used for homeownership projects must assist low-income homebuyers, and the units are subject to resale restrictions or a subsidy recapture provision. In addition, current eligible homeowners can participate in the program through an owner rehabilitation program. The City of Bremerton program is offered in partnership with the Washington State Housing Finance Commission for buyers purchasing within the Bremerton City limits. Borrowers must income qualify at 80% or below area median income. Maximum loan amount is $20,000 with 3% interest and a term of $15,000. 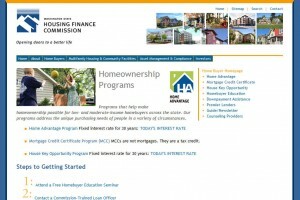 You must qualify for a WSHFC House Key first mortgage from a qualified lender. The Kitsap County Consolidated Housing Authority (KCCHA) offers a 0% interest second loan of up to $20,000 for household incomes at or below 80% of county median. Buyers can purchase homes in Kitsap County outside of Bremerton city limits. Call 360-535-6139. The Washington State Housing Finance Commission (WSHFC) House Key Plus is a second loan used with the House Key Bond loan. Depending on household income, can qualify for loan of up to $5000 at 5% interest for a 10-year term. For a list of participating lenders call the Washington Homeownership Center (WHC) at 866-600-6466 or visit WSHFC. HomeChoice is a second loan program for persons with a disability or a family member with a disability living with them. Borrowers must be first-time buyers or buying in a targeted area. Call KCCHA at 360-535-6120 or the WSHFC at 800-767-4663. Housing Kitsap currently has Community Development Block Grant (CDBG) and Housing Opportunities Made Equal (HOME) funds to be used for assisting First Time Home Buyers in the purchase of a home. The homebuyer must meet income eligibility of less than 80% of Kitsap County median income guidelines, as established by HUD. These funds may be used with 50% matching funds for down payment and/or 100% of reasonable closing costs up to a maximum of $20,000.00 for property located within Kitsap County, excluding the City of Bremerton. Are you looking to buy a home in Lakewood? Studies have shown that a lack of adequate funding for down payment and closing costs remains one of the main obstacles to homeownership. In order to provide improved access to the housing market, the City of Lakewood offers a Down Payment Assistance (DPA) program that assists qualified homebuyers with down payment and closing costs to purchase a home within the Lakewood city limits. The Down Payment Assistance Loan program makes funding available to assist lower income households that can qualify for a mortgage but lack the resources for the down payment to purchase an affordable home in Pierce County outside Tacoma and Lakewood city limits. The First-Time Homebuyers Program is another type of homeownership program available through Housing Programs. Prospective Homebuyer’s are eligible for downpayment assistance program if their combined household income meets HUD’s income guidelines. The sales price for the home must be at or below the FHA maximum loan limit for Pierce County which is $362,790. Applicants must work with local lenders to obtain a FHA, VA, Rural Housing or Conventional first mortgage. Housing Programs staff will work with the first mortgage lender to get the paperwork necessary to process the Downpayment Assistance application. All homes purchased under the program must be inspected and pass an federal Housing Quality Standards (HQS) inspection. 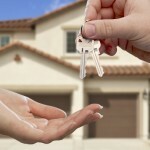 Attending an educational Homebuyer Class is required prior to closing. To be eligible for assistance, the property must be located within Pierce County outside Tacoma and Lakewood city limits. Qualified buyers wishing to purchase a home within the city limits of Tacoma or Lakewood should contact that city. The 2012 payment program is currently open. Lender will review and complete Part A of the Down Payment Assistance Application; this ensures borrower suitability requirements. Shop for a home. Enter into a purchase and sales agreement with the seller. Form 02: Notice of Voluntary Arm’s Length Transaction and Form 3: Housing Quality Standard, of the Down Payment Assistance Application must be completed and signed by the buyer and seller as part of the purchase and sale agreement. Buyer sets up an appointment for down payment approval with Michelle Burden at (509) 942-7580. Bring complete application, forms and supporting documentation. A list of supporting documentation can be found in part F of the Down Payment Assistance Application. DNDA also continues to own and/or operate many of these projects. If you have questions about how to determine your household income, or if your income is very close to the income limit showing for your family size, check with one of our program partners first before ruling yourself out! b) any individual who is a single parent or guardian of a minor child may not be excluded because that individual previously owned a home with his or her spouse or partner. HomeChoice is a downpayment assistance, second mortgage loan program for qualified borrowers who have a disability or who have a family member with a disability living with them. Funds up to $15,000. 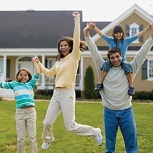 HomeChoice combines with Home Advantage first mortgage loan program or the House Key Opportunity loan program. One-on-one counseling is required. SNAP offers a wide assortment of programs for homeless and low-income residents of Spokane County. At our core, SNAP is a Community Action agency. Community Action efforts catalyze greater community engagement in the issues and causes of poverty. You can also find our Energy Assistance and Community Voicemail programs here. Our Financial Stability services strengthen or grow financial potential. SNAP has several programs here, including small business development, money management, and mortgage counseling. Under Housing Services are our programs that help individuals acquire or sustain decent, affordable housing, including our weatherization and homeless prevention programs. The City of Tacoma is offering a Down Payment Assistance program. Under this program, we will assist eligible first-time homebuyers with up to the FHA required down payment (currently 3½%) to purchase a home in any of the eligible areas of Tacoma; see map. Example: Purchase Price: $150,000 x 3.5% = $5,250 in DPA assistance. NOTE: Buyer must contribute at least $1,000 toward the purchase price. If you have questions, contact Gary Tiedeman at (253) 591-5219 or e-mail gtiedema@cityoftacoma.org. also helped forge new partnerships and has become an important component for many agencies that assist folks with disabilities and their families. This entry was posted in First Time Home Buyer Grants, First Time Home Buyer Info, First Time Home Buyer Programs and tagged closing cost assistance, down payment assistance grant, down payment grants, NAHA, WSHFC. Bookmark the permalink.